Stagecoach in Warwickshire Fleet List: Ten new Alexander Enviro400s numbered 10032-41 are in the process of being delivered for the Unibus service in Leamington, but will see use on Olympics work before entering full time service locally. Registrations for 10032-7 have been confirmed so far. Thanks to Gregg Collins for this. 47039 has been repainted into fleet livery. Thanks to Steve Buckley for this. Reading Transport Former Vehicle Fleet List: Optare MetroRider 611 went into preservation from Second City Travel on 19th October 2011 and Optare Spectra 701 went into preservation from MASS Brightbus on 8th May 2012. 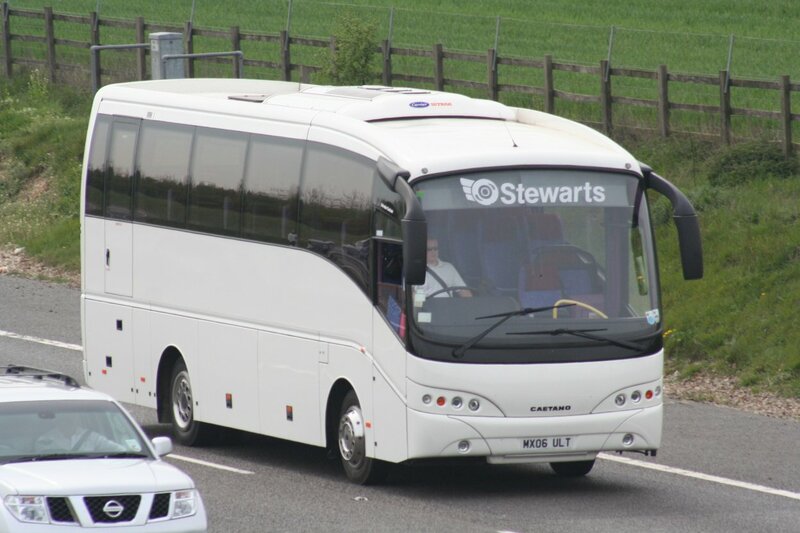 Aldermaston Coaches Fleet List: New in March was Mercedes-Benz RK12 VJX. Thanks to Bus Fare magazine for this. Reading & Wokingham Coaches Fleet List: SIL 6303 was reregistered back to DF05 CWT in March 2010, with YN51 XNE becoming SIL 6303 instead. Thanks to Bus Fare magazine for this. Weavaway Travel Fleet List: Fleet numbers are to be applied to the Newbury & District bus fleet, duly added to the fleet list. Thanks to Bus Fare magazine for this. 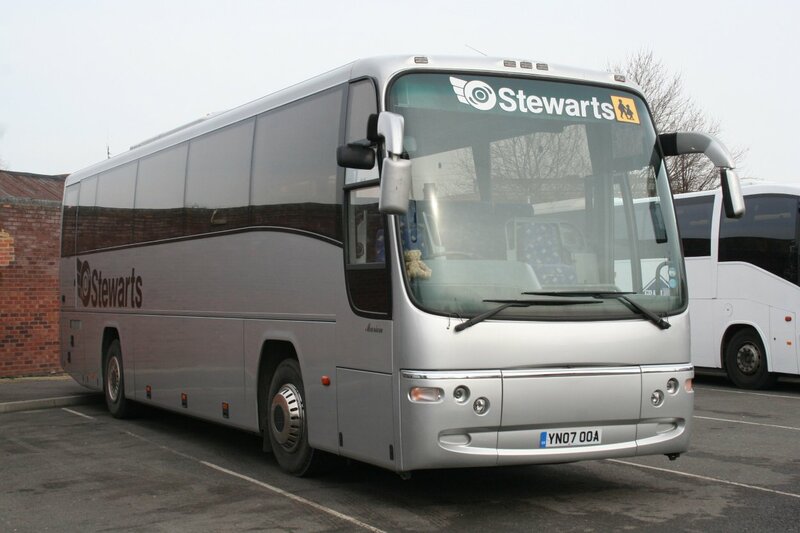 Carousel Buses Fleet List: BL21 has been sold to I&S Coaches, Hereford. Thanks to John Hammond for this. The Volvo Olympian deckers are being repainted into blue as opposed to light blue. Reading Transport Scania OmniCity Double Deckers: The seats in 1104 have now been re-trimmed in fabric. 1102/8/9/14 are confirmed still in leather. Thanks to Brian Coney for this. Weavaway Travel Fleet List: LUI 9693 has left the fleet and W30/40 OOW are no longer for sale. W40 OOW and R9 BRD have lost their Rockbird Bandwagon lettering in favour of Weavaway, with R9 BRD having been repainted black from electric blue. SN09 LSE has gained Weavaway lettering rather than Countywide as previously thought. YN10 ACU/CV/DV have The Class of 74 lettering along with YN10 ADU. C7 OXF has lost its branding for Newbury Buses route 6/6A. The registration of Plaxton Cheetah previously reported as SF10 EBF is corrected to EBV. Vans WOI 3005 and RK54 DFN have left the fleet, whilst a second Fiat Punto van is RK60 RXF. Depot allocations updated. Thanks to Simon Weaver for this. Stagecoach in Warwickshire Fleet List: New arrivals are 17412/7 from Stagecoach London which are in reserve at Leamington for open top conversion. 16076 has been sold to Ensignbus (dealer). Rugby 34133 has gone into reserve for repairs. Rugby Megabus 54003-5/7 have gone into service from reserve. Carousel Buses Fleet List: New additions are Volvo Olympian / Northern Counties Palatine 1 928-931 R267/70/79/80 LGH from Go North East, and Renault Master van 997 CE57 DSY. BMC Hawk BL21 has been withdrawn for sale and previously unreported Mercedes support van R949 FFM has been sold to ASM, Aylesbury (dealer). Thanks to John Hammond for this. The Olympians are being repainted into a light blue livery for use on schools services. Oxford Bus Company Fleet List: A new training vehicle is 965 registered P1 OXF, it's type and previous identity is unconfirmed. Thanks to Chris Maxfield for this. 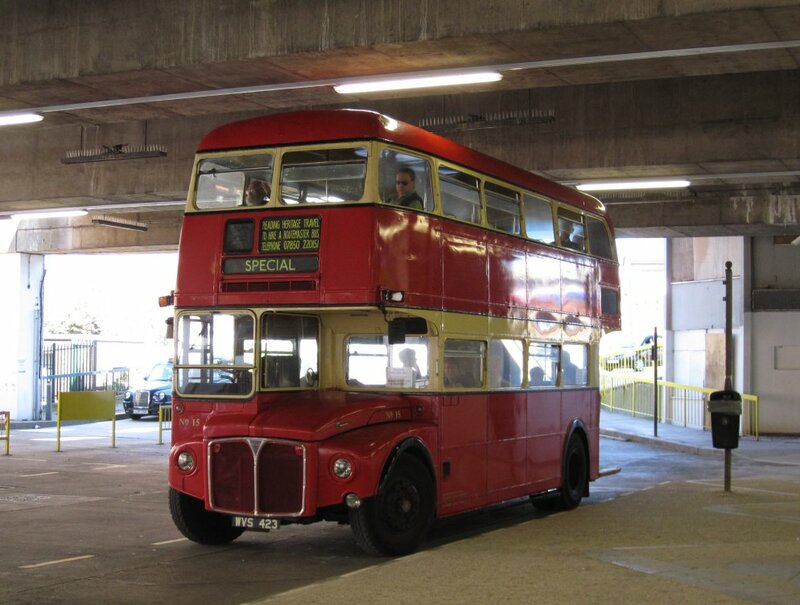 902/3/8 have been sold to The Green Bus, Birmingham. Stewarts of Mortimer: Photos of YN07 OAA and former MX06 ULT added. Thanks to Derek Dawson for these.